March 28 is the anniversary of the largest nuclear accident in United States history. The cooling system of the Unit 2 reactor core malfunctioned at the Three Mile Island Nuclear Generating Plant near Middletown, Pennsylvania. Early in the morning of March 28, 1979, a malfunction occurred in the non-nuclear part of the plant responsible for pumping water to the steam generators which in turn remove the heat from the reactor core. This caused the steam generators and the reactor to automatically shut down. The pressure on the nuclear side of the plant began to increase but there was a problem with the valve tasked to relieve this pressure. The valve worked the way it was supposed to at first, but when the pressure was down to normal levels, it remained open. The control panels showed a closed valve and no one knew water continued to pour out of the system. Eventually, the core of the reactor was out of coolant. The fuel overheated enough to burst the zirconium cladding containing the fuel pellets and in turn, melt the pellets. This event is known as a core meltdown. Fortunately, in this case, the containment building contained nearly all the radioactive material. Once they determined the reactor was contained, they had to figure out what was wrong with their system without exposing the surrounding area with radiation. At first, they did not know their core had melted. The reactor seemed to have cooled down to a manageable temperature but the pressure in the primary system was still too high to allow coolant to reach the core. When they relieved this pressure, a significant amount of radioactivity was released into the atmosphere. The Nuclear Regulatory Commision recommended young children and pregnant women evacuate beyond a 5-mile radius from the plant. There were also concerns about a bubble of hydrogen gas which formed in the pressure vessel. Emergency responders were concerned this could cause an explosion and breach the containment system. The bubble was slowly removed over the next week and that part of the crisis was over. This incident stopped the construction of new nuclear power generating plants in the United States. Public opinion of nuclear energy fell to new lows. The NRC began taking a heavier hand in plant operations. The reactor has been permanently shut down and decommissioned. The nuclear fuel was removed and shipped to a Department of Energy facility in Idaho. The radioactive water was decontaminated and evaporated and the facility is still remotely monitored. The health effects of the radiation release are still debated. The American Nuclear Society claims individuals within 10 miles of the plant received 100 millirems of radiation exposure which is approximately a third of the yearly exposure to normal background radiation. 1982 – William Francis Giauque died. 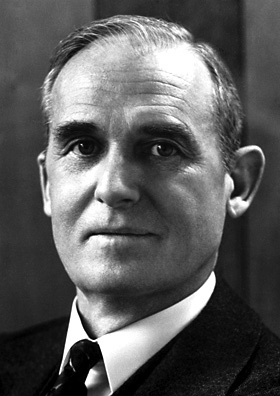 Giauque was a Canadian-American chemist who was awarded the 1949 Nobel Prize in Chemistry for his research on matter at near absolute zero temperatures. He developed a magnetic refrigeration device that cools samples to under 1 Kelvin. His research helped increase the understanding of entropy in thermodynamics and properties of low-temperature gases. He was also involved in the discovery of atmospheric oxygen isotopes O-17 and O-18. 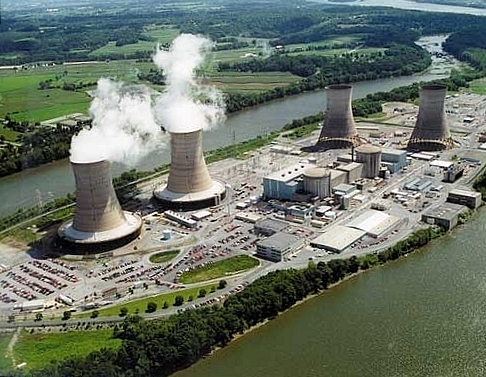 1979 – Three Mile Island Nuclear Plant accident begins. 1930 – Jerome Isaac Friedman was born. Friedman is an American physicist who shares the 1990 Nobel Prize in Physics with Richard Taylor and Henry Kendall for the discovery of quarks. Their experiments demonstrated protons had an internal structure. This internal structure would later be determined to be made up of elementary particles known as quarks. 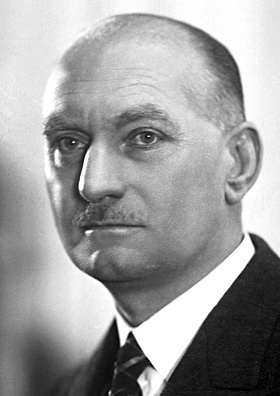 1892 – Corneille Heymans was born. Heymans was a Flemish pharmacologist who was awarded the 1938 Nobel Prize in Medicine for the discovery of how the pressure sensory organs associated with the carotid artery and aortic arch affect and regulate respiration.